Graham-Field Lumex Patient Lift LF1030, LF1030CH. 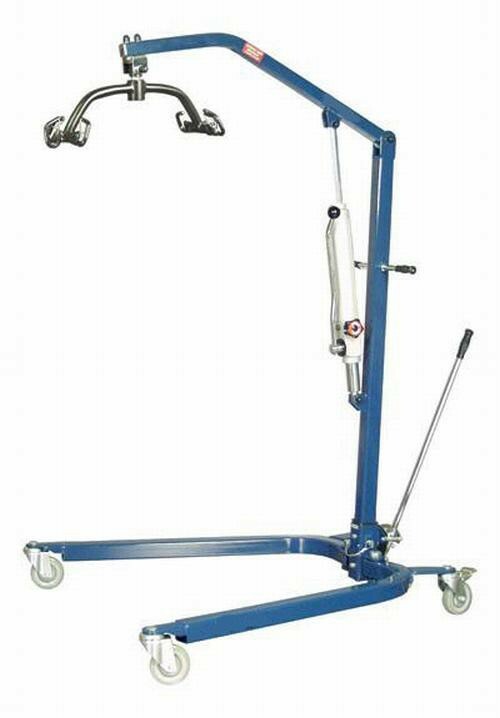 Graham-Field Lumex Hydraulic Patient Lifts are made of heavy gauge steel construction for durability. These manual lifts come with a six-point cradle for greater patient stability. The base of the Lumex Patient Lift is adjustable manually. 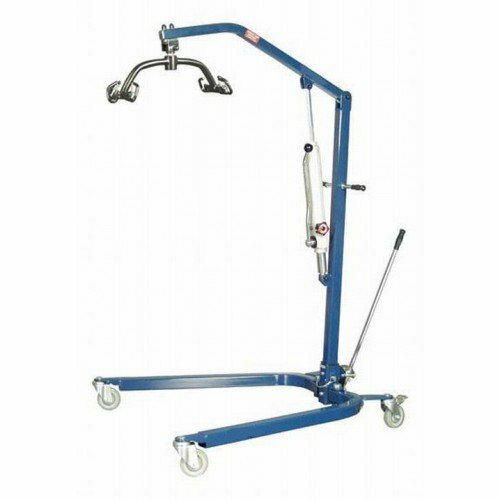 Supporting up to 400 pounds, this medical lift can accommodate most patients. Graham-Field also manufactures the Lumex Stand Assist, Lumex Sit-to Stand Lift and the Lumex Easy Lift. Six point spreader bar with 360 degree rotation. Uses Lumex six-point, four-point, or 2-point slings. Graham-Field Lumex Patient Lift Product Number: LF1030. Width Range (base): 25.4 to 39.7 Inch. Height Range: 55.1 to 77.7 Inch. Graham-Field Lumex Patient Lift Warranty: 1 year (frame). Lumex LF1030 Patient Lift Brochure highlights the features of this medical lift. Graham-Field Lumex Patient Lift Catalog displays the patient lifts with the Lumex brand. Lumex Patient Lift User Manual offers set up, maintenance and care instructions for the LF1030 model. Lumex Manual Patient Lift Maintenance Schedule charts when maintenance intervals should occur. LF1030 Patient Lift Specifications details the specs for this medical lift. Lumex LF1030 Patient Lift Warrany offers warranty claim details. Patient Lift Safety Guide offers tips to operate your patient lift safely. Lumex Lift Sling Guide provides information on selecting the right sling. My wife falls frequently. Can this be used to lift a person from the floor? It's not recommended that this item be used to lift a person from the floor. This patient lift is really great. This lift helps my staff a lot in carrying the patients to their beds and chairs. Now, it is very easy for us to change patients' beds and chairs when needed. It has good weight capacity and adjustable base.